Within the surf life saving environment, there is a range of qualifications that you can pursue to upgrade your skill levels and perform your lifeguard duties with more efficiency and competency. These qualifications include certain development camps such as Youth Development Camp, Intermediate Guard School and Advanced Guard School; first aid courses; Inflatable Rescue Boat qualifications and even Rescue Water Craft (jetski) qualifications can be obtained once the necesssary prerequisites have been fulfilled. This is the starting point for education in the IRB. It is compulsory for members to have the IRBCM to be able to crew an IRB. The IRBCM gives Surf Lifeguards the knowledge and skill required to respond as a crewperson in rescue situations utilising an IRB. The IRBCM is a pre requisite for the Senior Lifeguard Award – IRB Driver. The Senior Lifeguard Award – IRB Driver (SLA-IRBD) is designed to create competent IRB drivers. 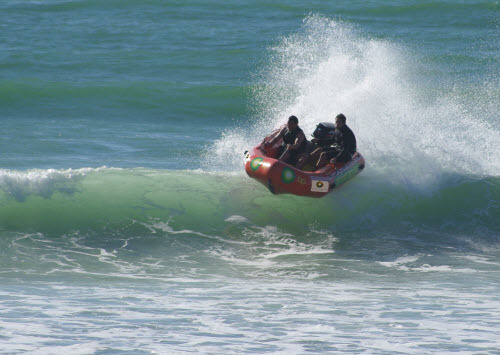 The qualification has a number of theoretical and practical components such driving in the surf, solo driving and maritime regulations to prepare Surf Lifeguards for IRB use. It is compulsory for members to have the SLAIRBD to drive an IRB. 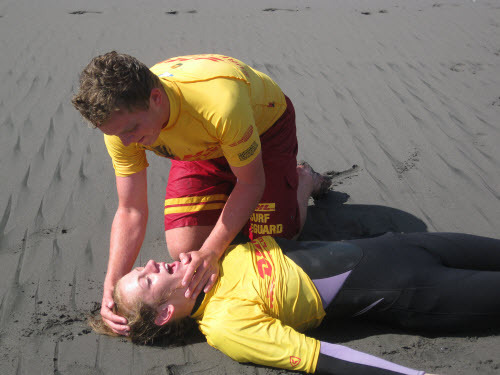 The SLA-IRBD gives Surf Lifeguards the knowledge and skill required to respond in rescue situations utilising an IRB. The SLA-IRBD is a pre requisite for the National Lifeguard School.